February | 2012 | What about this? The directions state, “Let stand at room temperature for at least 4 hours before serving.” Yeah, right – like that’s going to happen! You will be hard-pressed to follow those directions after stirring the thick spicy sauce into the noodles. 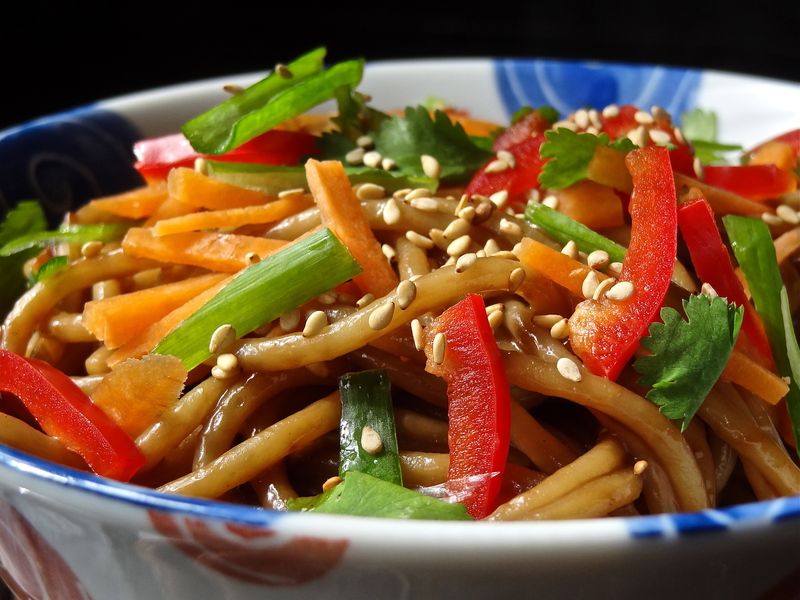 And after sprinkling fresh red peppers, carrots, green onions, cilantro leaves, and fragrant, toasted, sesame seeds over the saucy noodles, you’ll forget you even read the directions! This is a wonderful party dish because it can be made ahead and because it can be made to serve a few people or a crowd. For a fun presentation, serve the noodles in small Asian take-out cartons with a pair of disposable chopsticks tucked into each carton! 1. Cook pasta in a large pot of boiling salted water until done, then drain and rinse with cold water until the noodles are cold. Let noodles drain for about 10 minutes. 3. Toss the noodles with the sauce. Let stand at room temperature for at least 4 hours before serving, or refrigerate and serve within 2 days. Always toss noodles before serving to distribute sauce evenly. 4. To serve, place a mound of noodles on plate and garnish with your choice of any or all of the pretty crunchy additions listed above. 1. As the noodles and sauce sit, the flavors of the sauce meld together. Wait to adjust the seasonings until the noodles have sat in the sauce for quite awhile. I was tempted to add more pepper flakes, but was so glad I didn’t! 2. In the recipe Margaret S. Fox suggests using the least adulterated kind of peanut butter available. 3. I found it was not necessary to heat the sauce mixture in order to stir it. 4. If serving this as a main dish, protein in the form of shredded chicken or firm tofu could be added. 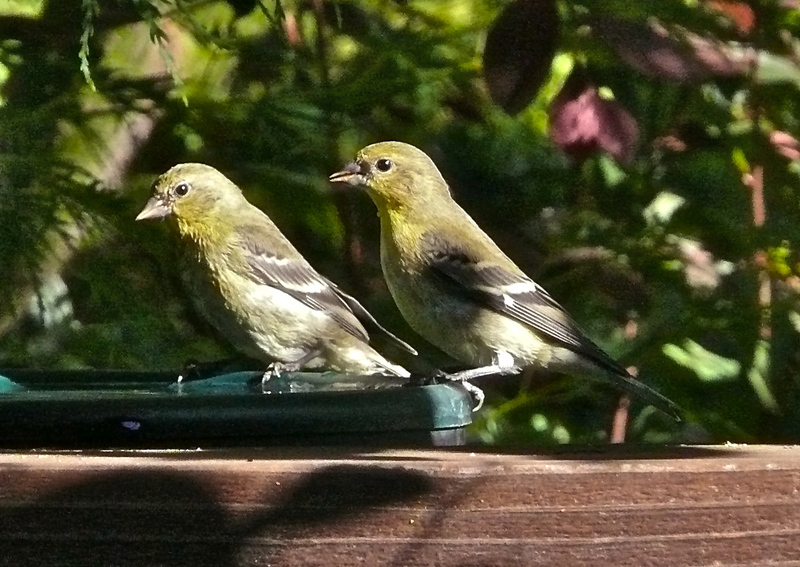 Chirping up a storm, the birds in my backyard are letting me know that their feeders are empty. I look out the window to the feeding station and see that the sunflower seeds have disappeared and all but one-inch of Nyjer seed remains in another feeder. It’s a quite a job to stay on top of filling three feeders, a suet cage, and a hummingbird feeder every couple of days. Not to mention, hauling and storing the bird seed, cleaning and filling a bird bath and making sure my husband puts only bird-safe algaecide in our fountain. It’s a lot of work, but the sweet songs of thanks I hear every time I step outside remind me of why I do it! The other day, my husband and I were talking about things that are becoming obsolete and one of the items brought up for discussion were phone booths. 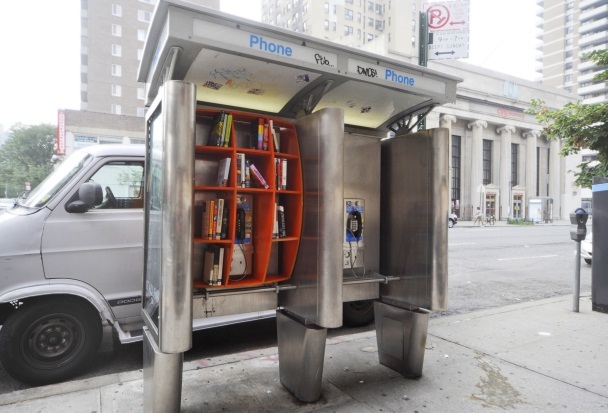 Shortly after that discussion, I read about John Locke, a Columbia architecture graduate who wants to convert New York’s pay phones into sharing libraries. To date, he’s placed bookshelves and books in two phone booths with mixed results. Read about his interesting project and see additional photos here. Wanting to save the remaining Meyer lemons in my yard from being half-eaten and left to rot by pesky squirrels, I decided to look for yet another way to save them for future use. In the past, my husband has made limoncello, an Italian lemon liqueur, but unfortunately, there’s only so much limoncello we can drink! I’ve also tried juicing the lemons and freezing the juice, but it’s such a waste of flavorful rind. This year I’m preserving the lemons in a more traditional way – in jars with salt and lemon juice. Read the New York Times article on “Preserving Lemons the Traditional Way” if you’ve got lemons and want to learn the technique. 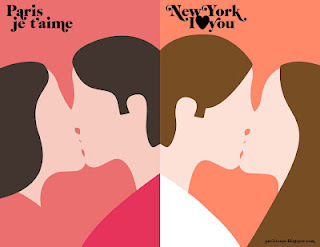 The introduction reads “Macaroon vs. cupcake, Proust vs. Salinger, bobo vs. hipster, bordeaux vs. cosmo.” These are some of the comparisons that graphic designer Vahram Muratyan illustrated with his minimalist-style portraits and they are included in his book Paris versus New York: a Tally of Two Cities. Other than me, my husband’s favorite nut is the cashew. After one bite of these buttery, crunchy, cashew cookies topped with a creamy browned butter frosting, he’ll have to decide which nut rules his heart. Which will it be . . . the baked or the baker? 1. Melt butter in a 2-quart heavy saucepan over medium heat. Cook stirring constantly and watching closely, until butter just begins to turn golden brown (7-11 minutes). The butter will get foamy and bubbly. Immediately remove from heat. 2. Pour 1-1/4 cups browned butter into small bowl; pour remaining butter into another small bowl. Refrigerate both bowls of browned butter until cool (1 hour). 4. Combine 1-1/4 cups cooled brown butter, brown sugar, 1/2 cup powdered sugar and 1 teaspoon vanilla in a large bowl. Beat at medium speed, scraping bowl often, until creamy. Reduce speed to low; add flour. Beat until well mixed. Stir in chopped cashews. 5. Shape dough into 1-inch balls. Place 1-inch apart onto ungreased cookie sheets. Bake for 10-13 minutes or until set. Cool completely. 6. Combine remaining browned butter, powdered sugar and vanilla in small bowl. Beat at medium speed, adding enough half & half for desired frosting consistency, until smooth. Spread frosting over cooled cookies. Top each with cashew half. 1. Make sure to use at least a 2 quart saucepan to brown the butter. The butter will foam up as it is heated and you don’t want it to spill over on your stove top. 2. Cool the bowls of hot browned butter on the counter top before placing them in the refrigerator. You don’t want to lower the temperature of your refrigerator by placing something hot into it. 3. By the time I measured out all the other ingredients, the large bowl of browned butter had cooled sufficiently in the refrigerator to be used in the dough. 4. I used unsalted butter and salted cashews, because that is what I had on hand. I favor low sodium food, so the cookies tasted fine to me. For those of you who like food a little saltier, go ahead and add a pinch of salt to the dough mixture. 5. If the dough is too sticky to shape into balls, place it in the refrigerator for a while. Also, keep a small bowl of water nearby. Wet your hands with water before rolling the dough balls. The water helps to keep the dough from sticking to your hands. 6. 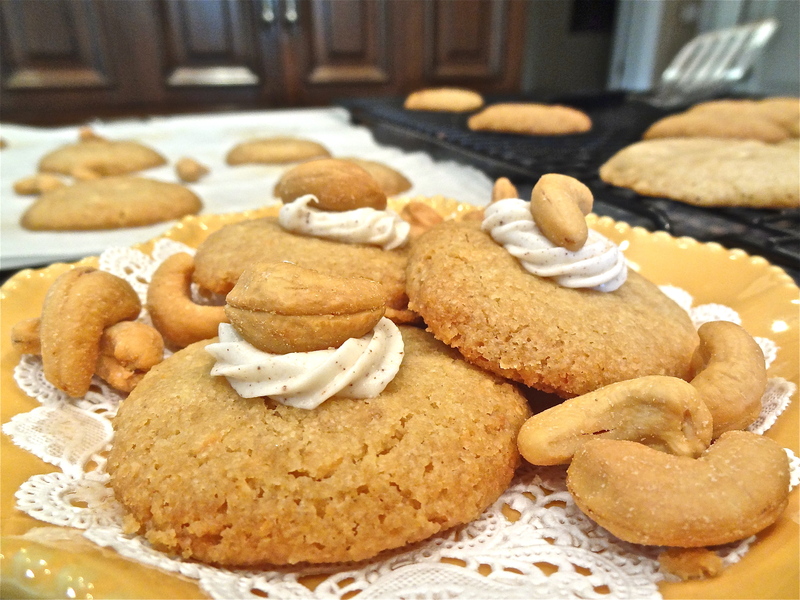 Because these are butter-rich cookies, I used parchment paper to cover my cookie sheets. Remember you can reuse parchment paper. After the cookie sheets have cooled, wipe down the parchment paper with a wet paper towel. Let dry and store paper on top of cookies sheets in your cabinet. Sometimes the ordinary can be extraordinary. 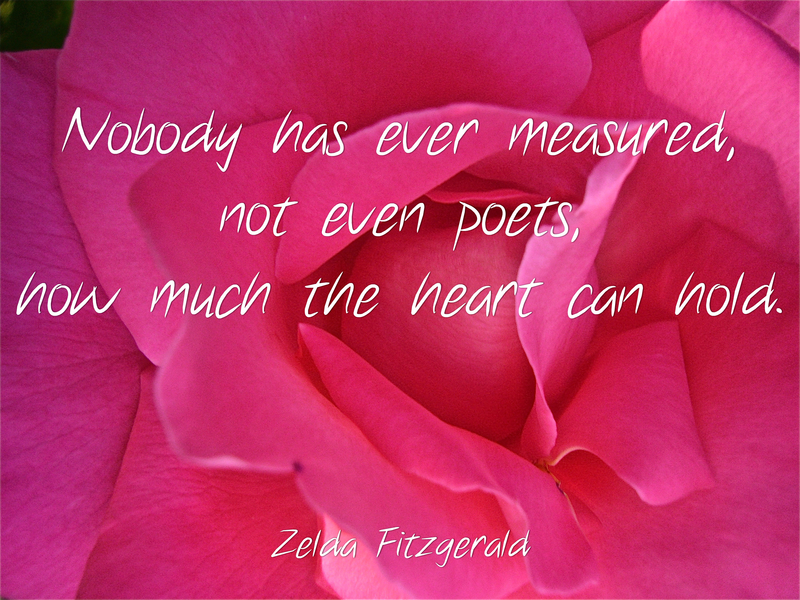 Lowly landscape flowers shine in otherwise flowerless gardens; wet paint vibrates with energy creating liquid sculptures; one person helps another and both lives improve. There are many things that exist and happen in our everyday lives that we deem ordinary, but when reflected upon, they are truly quite extraordinary! Freelance photographer Samuel Aranda was the recipient of the 55th annual World Press Photo of the Year Contest. According to jury chair Aidan Sullivan, “The winning photo shows a poignant, compassionate moment, the human consequence of an enormous event, an event that is still going on. We might never know who this woman is, cradling an injured relative, but together they become a living image of the courage of ordinary people that helped create an important chapter in the history of the Middle East.” While on the site, check out the other award winning photos and read the stories they tell. Did you know that over the last 20 years ordinary food portions at restaurants have become extraordinary? 20 years ago a serving of french fries weighed in at 2.4 ounces and contained around 210 calories. Today’s increased 6.9-ounce serving of fries carries with it a whopping 610 calories. Take the National Heart Lung and Blood Institute’s Portion Distortion Quizzes and learn how many calories the increased food portions carry and the amount of activity it takes to burn off those added calories. Are you a FOF? FOFs, also know as fabulous over fifty women, share their advice on the Fab 50 website which claims it is “The first online search powered by the wisdom of faboverfifty women.” The site offers age-related advice in a number of diverse subject areas such as beauty, beauty product reviews, book reviews, style, aging, and women’s health issues. The impressive list of Fab 50 founders reads like a who’s who list and includes the granddaughter of the founder of Bergdorf Goodman Mary Ann Quinson, fitness guru Denise Austin, author Lisa Scottoline, soap opera star Jackie Zeman, board member of General Mills and Herman Miller Dorothy Terrell, and supermodel Beverly Johnson. Women supporting women – it’s always a good thing! Using the vibration from speakers playing music, German photographer Martin Klimas pours ordinary paints on top of a protected speaker and then turns up the volume. The paint shoots up in the air and Klimas captures the colorful liquid paint sculptures in flight with his camera. I love the Miles Davis pieces! Hmm . . . my husband has an old subwoofer out in the garage . . . . The world’s other 6,993,541,793 human inhabitants are more like you than you think. People’s emotions, actions and reactions are not so different from one part of the world to another. Cultural and religious customs do exist, but smiling, kissing, and hugging are among the many emotional gestures people around the world share. So the next time you deem someone as “different,” consider all that you have in common, rather than the few differences that separate you. #1 – What Is It? The photo above looks like something from outer space, so what in the world is it? Call it what you like: Romanesco, broccoli Romanesco, Romanesco broccoli, broccoflower, Romanesco cauliflower (North America), Romanesco cabbage (French), or broccolo Romanesco (Italian), but whatever you call it, call it delicious! Fresh Romanesco is loaded with Vitamin C, fiber, and potassium. 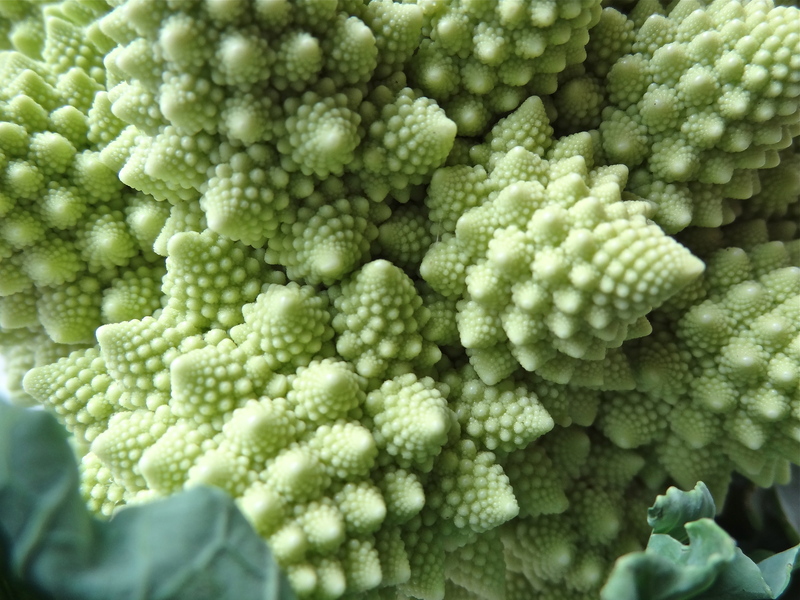 The next time you see Romanesco in the market, widen your culinary world and buy it. Prepare it as if you were cooking broccoli or cauliflower – just don’t overcook it! Mark your calendars for noon (EST) on February 24th and help document a global event. Join people from around the world and share a meal with them. Take a photo of you with your meal, mail it to the Art House Co-Op, and be part of an exhibition of people and their food. While you’re signing up for the Meal Project on the Co-Op’s website, check out its other creative community projects: Letters to Home, where you write a letter to your childhood home, and the Sketchbook Project, where artists across the globe donate their sketchbooks to the Brooklyn Art Library to provide artistic inspiration to the public. According to CEO Peter Bregman, moods are as contagious as colds. In his article “How to Use Your Super Power for Good,” he recounts how his mood changed one day from bad to good based on his encounters with different people. Here’s a quote from the article that focuses on his analogy of moods spreading like colds: Look at it this way: If you catch a cold from someone, does that mean you can go around sneezing on everyone else? You might be able to blame your mood on someone else, but you’re still responsible for what you pass to others . 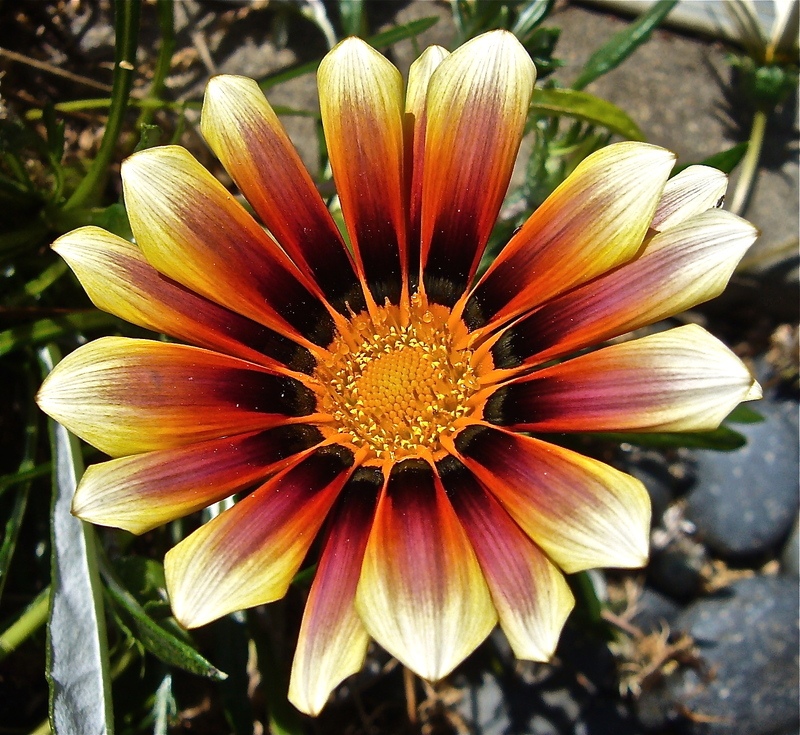 . . Know your emotions, be in touch with your moods, and think of them like the common cold. If you feel infected by bad cheer, take a deep breath, recognize how you’re feeling, and choose not to pass it on. If everyone practiced this philosophy, think about the collective difference it could make in the world. #4 – In a Galaxy Far, Far Away . . . Photographer Royce Blair captured some of the most awe-inspiring images of the effervescent-looking Milky Way juxtaposed against some of the iconic landscape features of Utah. If you need an escape from work during the day, just sit and gaze at these breath-taking wonders of nature. You’ll soon feel more relaxed! Why not listen to what the universe is saying to you this weekend? Have a great weekend! Round with bright flavors, citrus fruit bring the sun into our winter kitchens. Blood oranges, in particular, with their sweet hint of raspberry-like flavor and famous vermilion to ruby-colored flesh are true winter gems. Wanting to test a special, yet healthy Valentine’s Day dessert for my sweet-toothed husband, this recipe fulfilled all of my requirements: it was visually beautiful, full of flavor, and healthier than an average Valentine’s Day dessert. 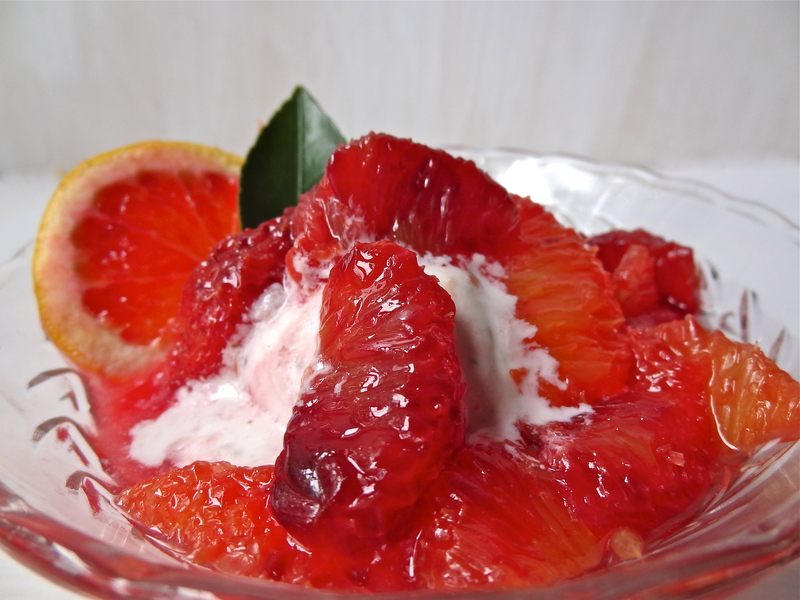 Although the marinated oranges were delicious all by themselves, the sweet-tart flavor of the blood oranges mixed with the vanilla and citrus liqueur Tuaca proved to be the perfect counterpoint to a scoop of creamy vanilla bean ice cream. This refreshing fruit compote can also be served with just a dollop of whipped cream or a wedge of ricotta cheesecake. As an added bonus, blood oranges are high in antioxidants. 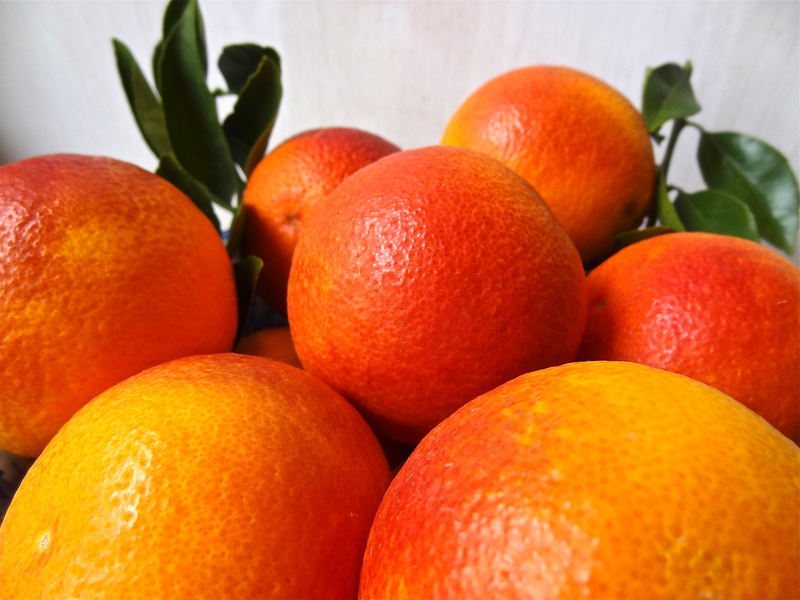 Although they are widely grown in Italy and Spain, these beautiful citrus fruit are also grown in California and Texas. Look for them in your grocery stores from about December through March. 1. Using a sharp knife, cut a slice off both ends of each orange to reveal the flesh. 2. Place the orange upright on the cutting board and, using the knife, cut downward to remove all of the peel and white pith, following the contour of the fruit. 3. Holding the the fruit over a bowl to catch the juices, cut on either side of each segment to free it from the membrane, letting it fall into the bowl. 4. In a small bowl, stir together the lemon juice, sugar, and Tuaca. 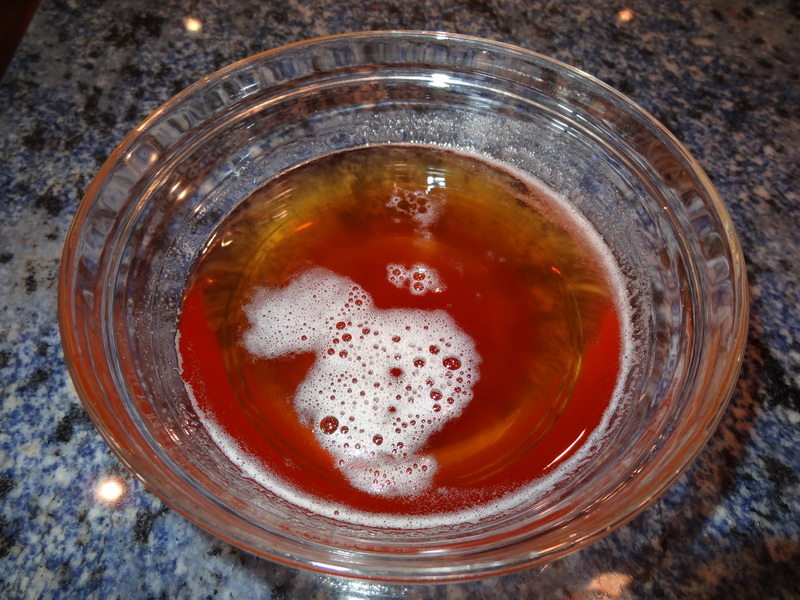 Pour the mixture over the orange segments and toss gently to combine. Cover and refrigerate until well chilled, at least 3 hours or up to 24 hours. 5. To serve, spoon the fruit and syrup into compote glasses. 1. Be careful when cutting blood oranges, the red juice can stain. 2. The cookbook mentions that you can substitute Grand Marnier alone or add a few drops of vanilla extract to it in lieu of using Tuaca.